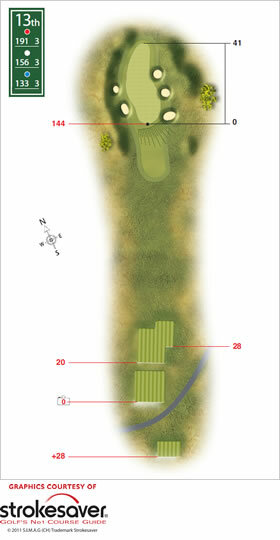 An extra 32 yards have been added to this already difficult uphill par three. At 46 yards deep the green should be an easy target, but it is never more than 15 paces wide and angles off to the left in a hollow in the dunes. On top of that, it is severely bunkered on both sides, drops sharply from back to front and falls away to the right. You just have to stay out of the sand.